It's her very first calf, and she wasn't going to lose him. 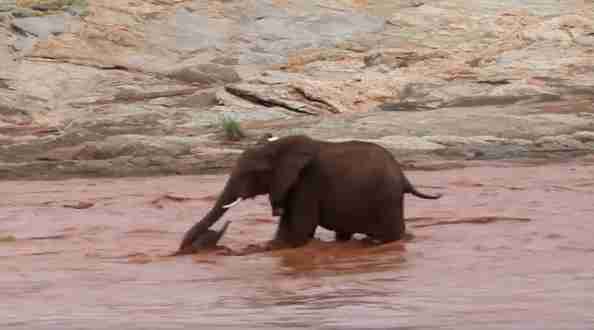 Last week, an elephant named Soutine was crossing a river in Kenya with her 3-week-old calf when the worst thing happened — the newborn calf lost his balance and was swept downstream by raging waters. But the protective mother wasn’t going to let anything happen to her little son. In a video recorded by Matt Brierley, a photographer working with Save the Elephants, Soutine leaps into the river after her baby. She takes several big leaps through the water before she can catch her calf with her outstretched trunk. But her baby continues to struggle — the current keeps pulling him away from his mom, and he seems to have trouble keeping his trunk above water to breathe. Eventually, Soutine manages to push her baby between her legs, which protects him from getting dragged away. 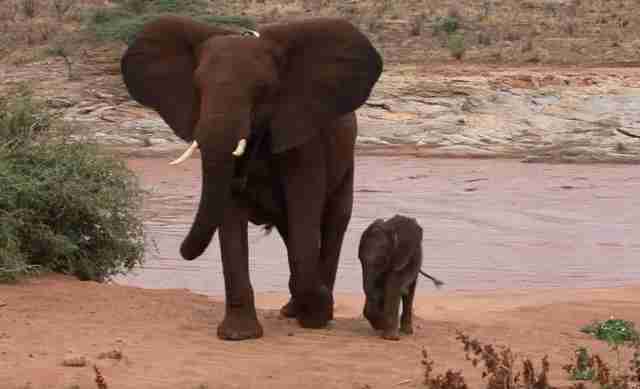 Then she trudges across the riverbed, carefully guiding her baby to shore. 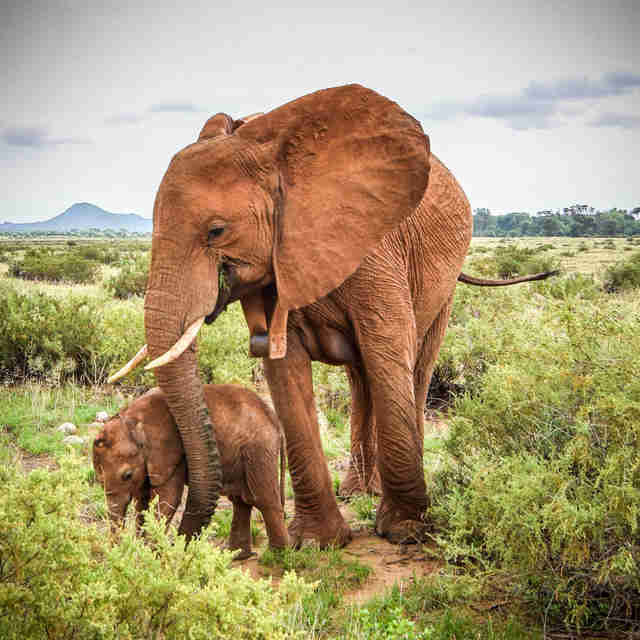 While the video is heartwarming, the clip isn’t just about a mother elephant saving her baby — it also shows the sad effects of elephant poaching. Soutine’s own mother, Chagall, was likely killed by poachers for her ivory, and Soutine has struggled to raise her first calf without her mother’s help and guidance. When Chagall disappeared in 2012, Soutine was only around 10 years old, and she and her sister had to learn to fend for themselves. As orphans, Soutine and her sister lived on the periphery of their herd, which made life very difficult for them. When Soutine became a mother herself, she continued to struggle. She’s also remained at the edge of her herd. In fact, Daballen believes that Soutine was trying to rejoin her herd when she attempted to cross the river with her newborn. Despite not having Chagall, Soutine is proving to be a competent and very caring mother — and the video shows that Soutine will do everything she can to protect her calf. By the end of the video, Soutine and her baby safely emerge from the river, and they walk side by side along the shore. 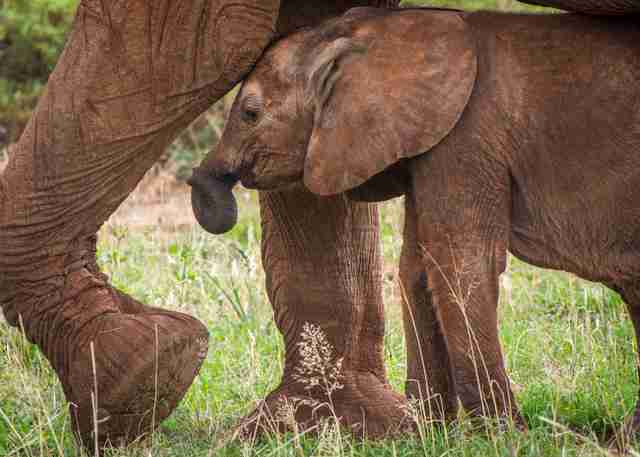 Then the calf nuzzles into his mother and begins to nurse. 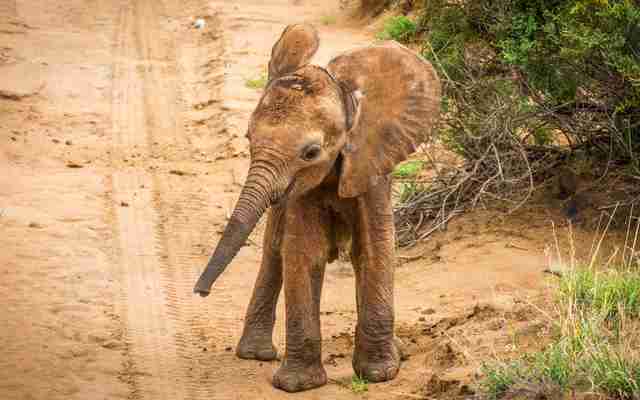 To help protect elephants in Kenya and other parts of Africa, you can make a donation to Save the Elephants.